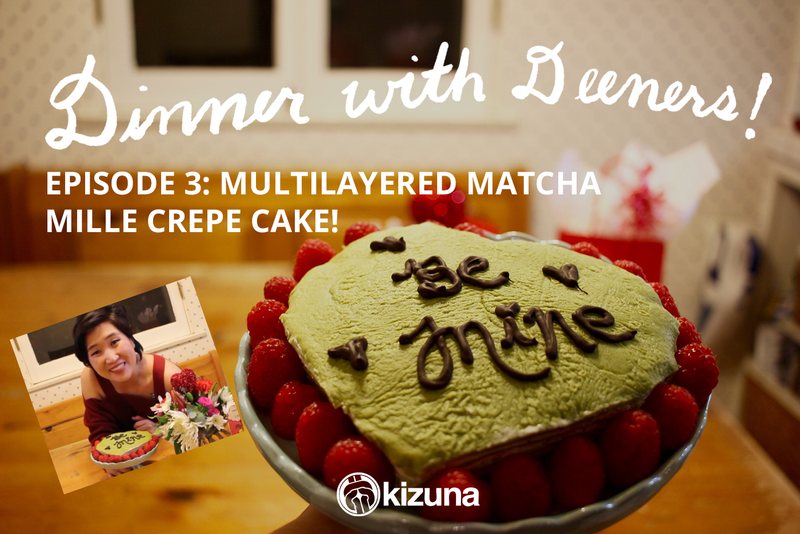 Heart-Shaped “Be Mine” Green Tea Mille (Multi-Layered) Crepe Cake! I recently went with my aunt and cousin to a cake boutique called Lady M that is famous for their mille crepe cake. And my goodness, not only are they pretty (they are super delicious), but they are also kiiiind of expensive ($7 for a slice of cake, $80 for a 9 in cake)! 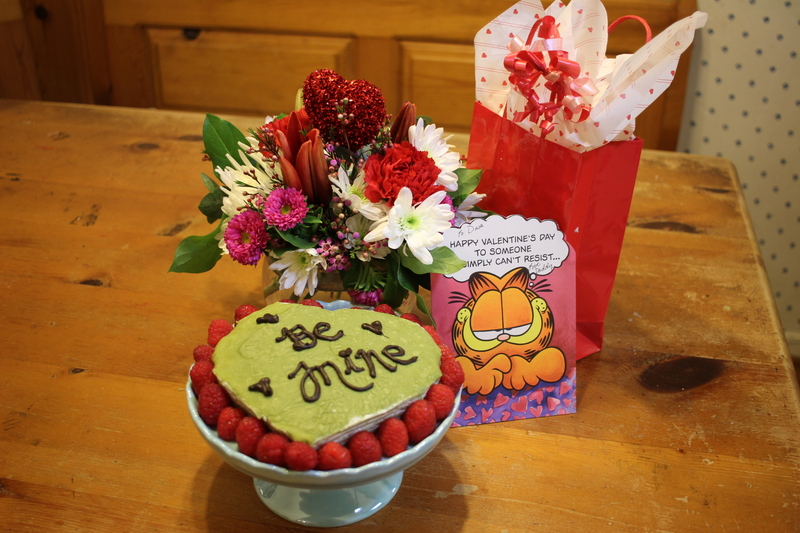 So, in honor of Valentine’s Day, I have decided to show you how to make a similar version of one of these very popular cakes. Not only will you no longer have to go out and buy one, but you can impress your sweethearts with this simple to make yet very intricate-looking cake! For a unique Japanese flair, I’ve added matcha powder to the crepe batter but you can always leave it out to make a regular mille crepe cake! I also had lots of fun shaping this cake into a heart and decorating it with chocolate writing for this romantic holiday! And don’t worry if you do not have a sweetheart, you can make this cake to celebrate Valentine’s Day, Galentine’s Day, or Single Awareness day! So share it with your sweethearts, family, and friends…or you can even hog it all to yourself on this holiday because it is just THAT GOOD! Warning: Plan in advance. Although this cake is simple, it does require some advance planning. The crepe batter needs to be refrigerated prior to making the crepes! 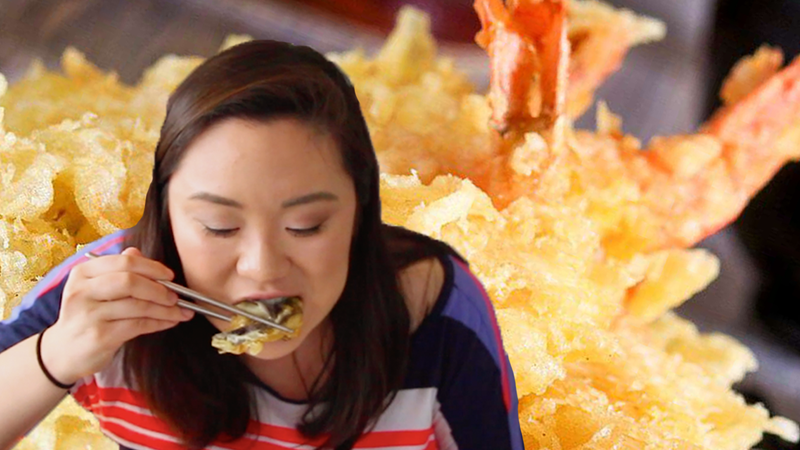 So do plan ahead if you’re going to be making this for your special Valentine’s Day dinner or after-date dessert! 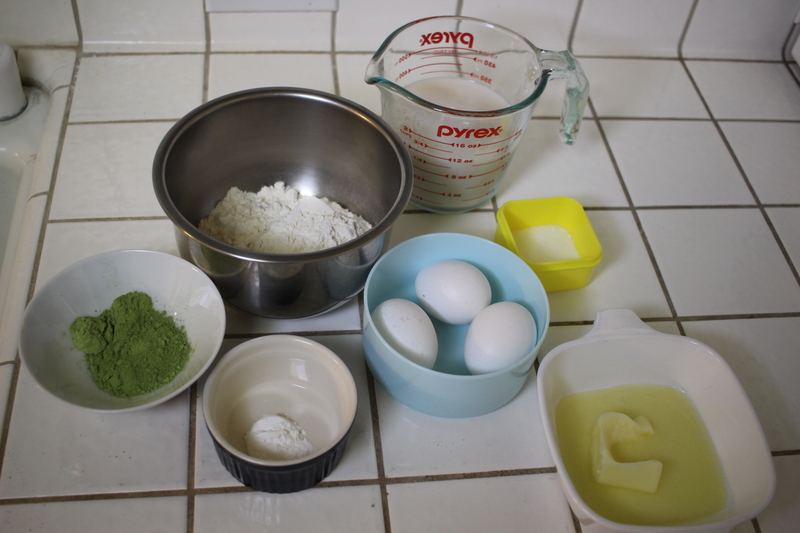 Combine and whisk ingredients together. Strain batter in a strainer to get lumps out. Pour a small amount of batter onto a lightly greased frying pan. Move in circular motions until pan is covered in batter. Flip for both sides to be cooked. Repeat until batter is finished. Set aside to cool. On a plate with plastic wrap, start with one crepe and spread with whipped cream. Continue the process, stacking each crepe with a layer of whipped cream in between. End with green tea crepe on top. Wrap tightly in plastic wrap and freeze for 3-4 hours. *For more flair: you can add thinly fresh cut fruits on top of the cream while you stack. With a heart cut out of paper, place it on top of the cake and trace, cutting of the excess cake with a knife. Decorate sides with fresh raspberries. Melt chocolate and making a piping bag out of a plastic sandwich bag, pipe “Be Mine” on top of the cake. Wishing you a wonderful Valentine’s Day and enjoy impressing your loved ones with this fun cake!